Pipes for connection to Chofu wood heater. 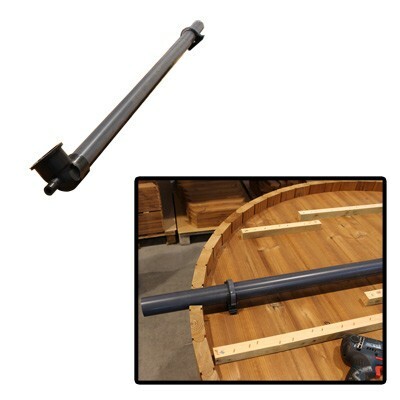 Threaded end comes on the inside of the Hot Tub. Matching part fits on the heater on the outside with a clamp and rubber sealer that are included.